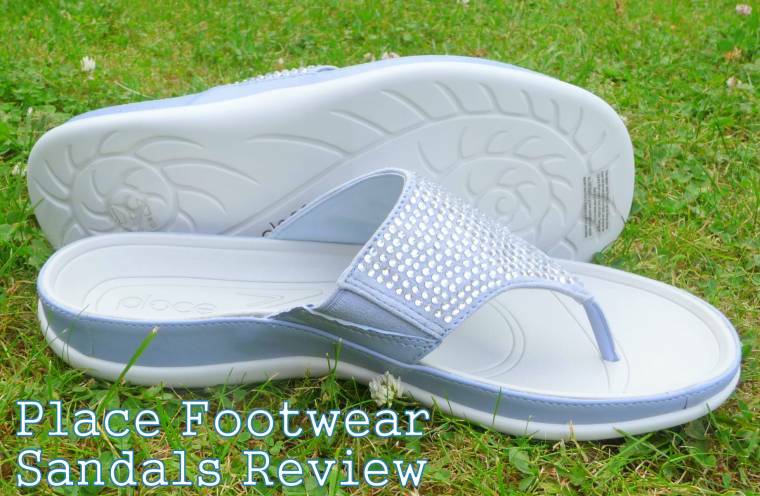 As you may know, I love my footwear and was pleased to be asked by Place Footwear last week if I would like to try out a pair of their sandals. A new range of sandals which have hidden orthotic technology to naturally realign your feet & improve posture. 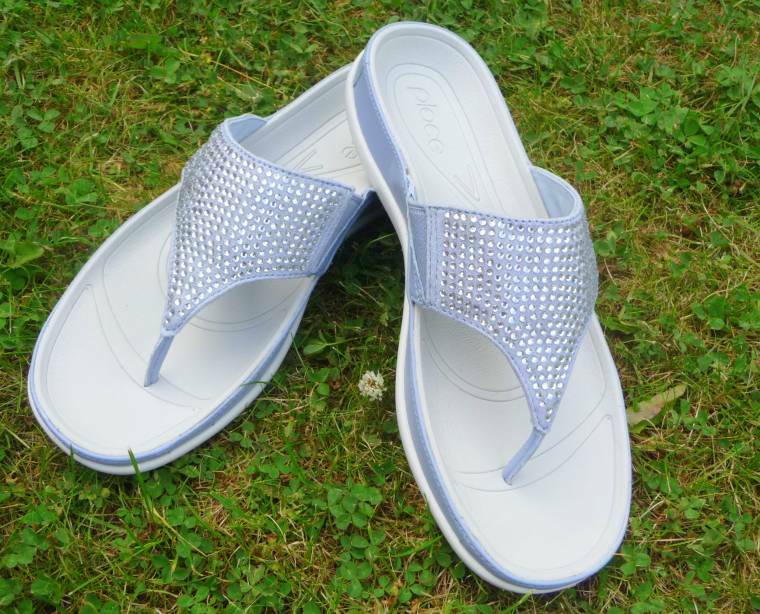 They sounded great so I picked out this lovely pair of flat sandals with shimmering diamanté sparkles. Perfect for adding a bit of class to my outfits on my walk home from the gym!?! The new range of sandals which have hidden orthotic technology to naturally realign your feet & improve posture. This helps to reduce aching feet, legs, knees & lower back pain, all of which are associated with badly supporting footwear. They come in some classic colours and even with a bit of bling! They are also great at preventing future foot & posture problems & general muscle fatigue. Designed by Langer who have been manufacturing foot orthotics in the UK for 34 years, Langer decided to use their experience and proven clinical biomechanical principles to design a shoe with an orthotic in the footbed as customers rely on their orthotics but struggle in the warmer weather to fit them into their summer footwear, they just don’t fit ! This luxurious upper is built around our unique contoured sole unit with BFT Technology– carefully crafted to provide gentle biomechanical correction and exceptional pronation control. I quickly opened the parcel to see what the sandals looked like. The sparkles were the first thing I noticed and how pretty they looked. Now time to try on. They feel firm on the bottoms, supportive around the arches with a nice snug fit around the tops. The inside of the sandals having a little elastic on, making it easy for your feet to slip in and out. They felt comfortable from the outset with the sizing being spot on. I have been wearing these non-stop and they feel great. No need to bed in, Stylish, Comfortable, Snug. They adjust to your foot shape straight away, promoting a natural foot strike. I will update in a couple of months to see how they react to long-term use. Certainly for now, Highly Recommended. I got sent these sandals to review. All thoughts are my own honest opinion and I did not get paid for this post. "What I Wore And A weigh In!!" They look like my perfect type of shoe ….stylish but comfy !!! will watch with inters to see how they wear .